Phone line card SECOLINK LC2 is a device designed to align phone line signals with the SECOLINK RCR computer board signals. More technical information can be found in the table below. Speed It depends on communication format and alarm control panel. 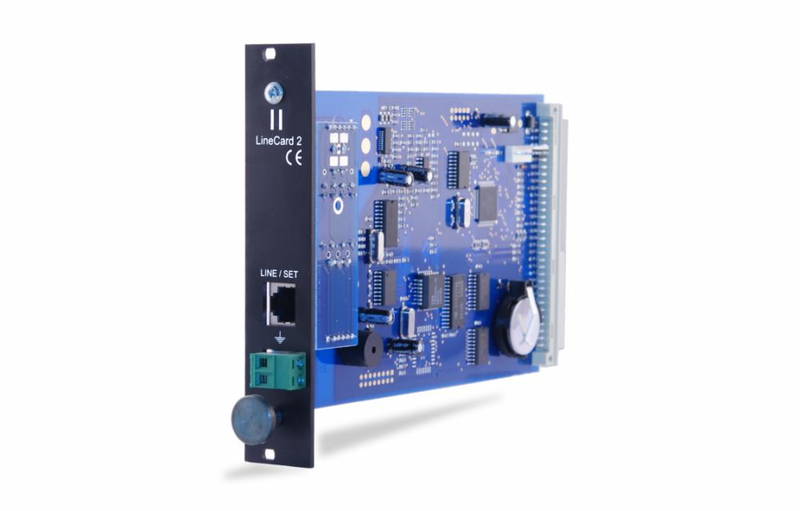 Standalone mode If it detects trouble with CPM (Central Processing Card) LC2 automatically switches to standalone operation mode. In this case it continues event receiving, but stores them in its own memory. All received events will be sent automatically to CPM when the connection is restored. * Receiving of the format depends on telephone line card settings.